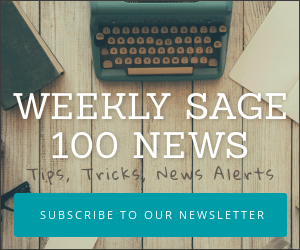 Sage 100 ERP 2013 – no prompt to update payroll checks after printing. This is happening on a Windows XP workstation though it’s not known if the issue is more widespread. Can print AP checks from same workstation. This may have several potential resolutions. 1. Run the WKSUPDATE from the WKSETUP folder. Starting with PU3(?) this program performs the below KB actions of moving the DLLs files for you. Note: Resolved with program fix LM5002-T, which can be downloaded from the Sage Support Portal and then installed onto each workstation having this issue. This patch should have been included in Sage 100 ERP 2013 PU2+ though it’s likely you need to re-run workstation setup. Here’s a nice solution to a somewhat rare printing problem one of my 90 Minds group members ran into. 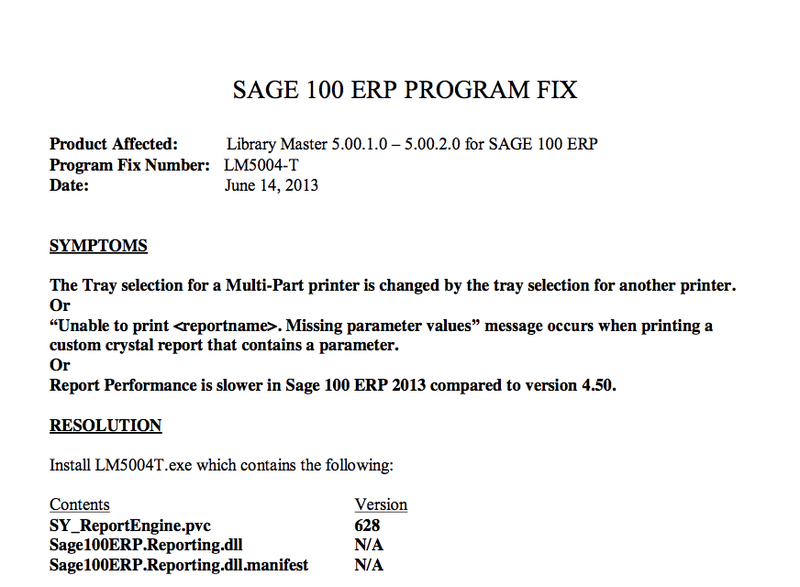 The problem appeared in Sage 100 ERP (Formerly Sage ERP MAS 90 and 200) Versions 4.40 and 4.50 versions. These systems both stopped printing ANYTHING from a Business Framework module (forms, reports) and started giving an error 200 in SY_ReportCommon.pvc line 611 in 4.5 and line 596 in 4.4. Sage says to uninstall and reinstall WKSETUP. Did that. Reinstalled EVERYTHING in 4.4. Including up to PU8. It’s trying to create the Crystal runtime object and for BF the main file behind that is CRAXDRT.DLL (the CRPE32.DLL is for legacy). Try to manually register that DLL which is typically in C:\Program Files (x86)\Business Objects\Common\3.5\Bin and the version for it laid down by MAS (as see in properties) is 11.5.something. If you get errors registering the DLL, look for multiple versions of it.